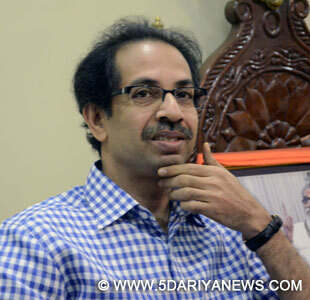 Shiv Sena President Uddhav Thackeray on Monday admitted to a virtual breakdown in communication with the Bharatiya Janata Party's (BJP) national leadership.He attributed this mainly to a "generational shift" in the BJP -- with which the Sena is allied both in the central and Maharashtra governments. Seasoned BJP leaders have been replaced by a younger lot, he said.In the second of a three-part interview published on Monday in the party's mouthpieces Saamana (Marathi) and Dopahar ka Saamana (Hindi) ahead of his 56th birthday on July 27, Thackeray spoke at length with Executive Editor and MP Sanjay Raut.There was a time when then Prime Minister Atal Bihari Vajpayee used to regularly call up and discuss issues with the late Shiv Sena President Bal Thackeray, he said. "Then there were Pramod Mahajan and Gopinath Munde who continued to connect the Sena and BJP at the centre. Such great individuals are no more," Thackeray said.He pointed out that the elder generation in the BJP - comprising people like Vajpayee, Advani and others - was out of politics. "The generation changed and the new dispensation got power very quickly. But after stabilizing in office, they should look for open dialogue," Thackeray said.The Sena chief, however, added that he enjoyed a rapport with Maharashtra Chief Minister and BJP leader Devendra Fadnavis.